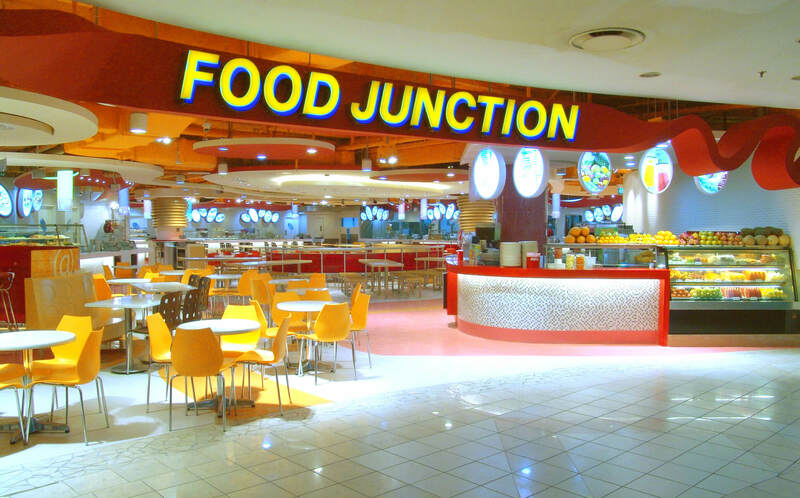 Food courts can be a great place to stop for variety and good value food and drink. 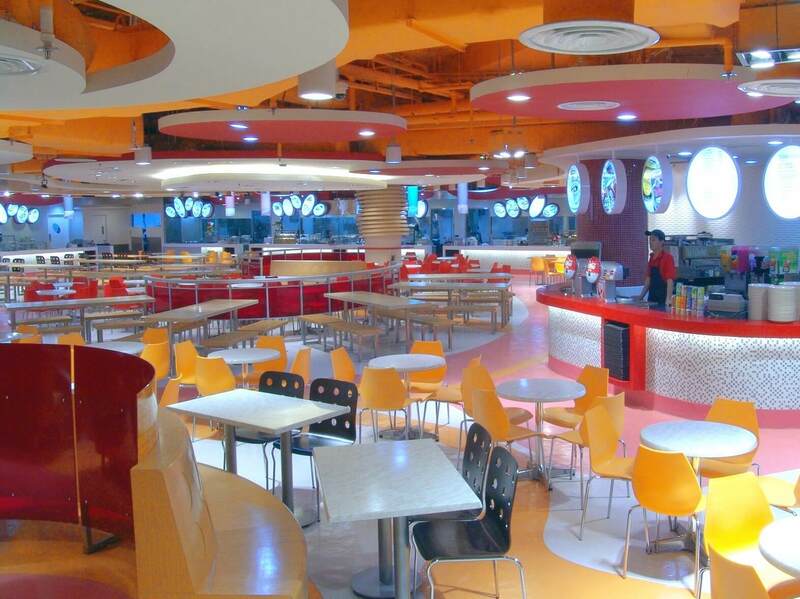 They can have broad appeal to all ages which is ideal for retail and entertainment centres. 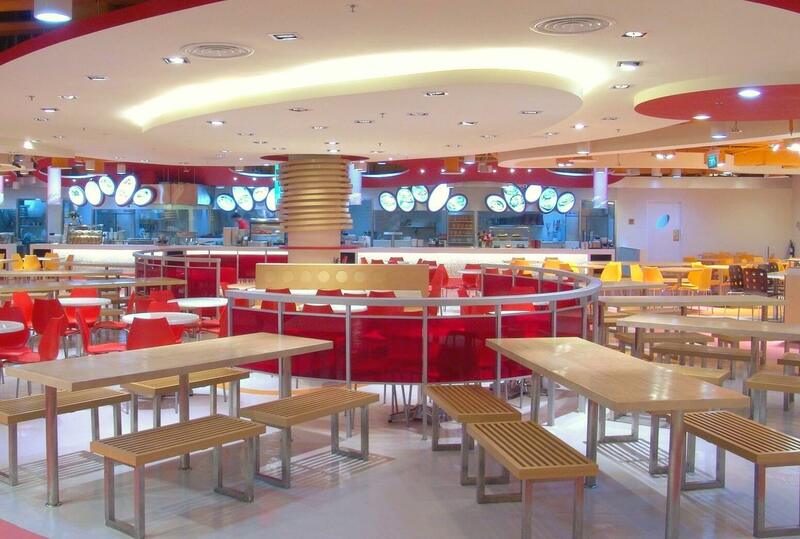 The design challenge is to accommodate the optimum range of food kiosks, maximise seating and incorporate operationally sound circulation – there’s a lot to fit in and the ratio of seating to food counters/kitchen is critical. 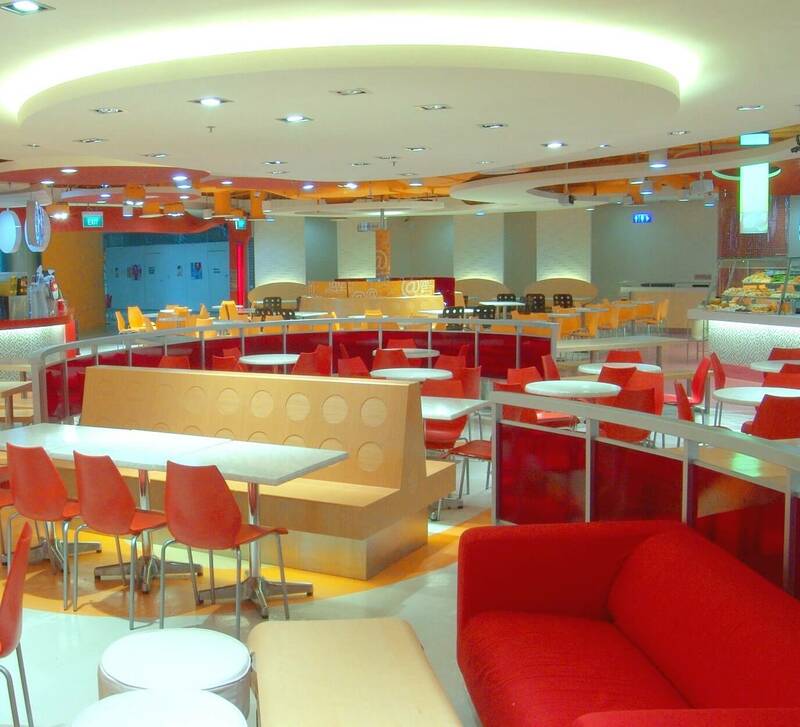 Keeping the fit-out cost down whilst creating an inviting and workable space is essential. This location, in a busy suburban shopping centre, had to cater to a lot of students from surrounding colleges during the week as well as the working community. Different zones were created within the space using lighting and colour as well as floating ceiling panels and quirky column cladding. 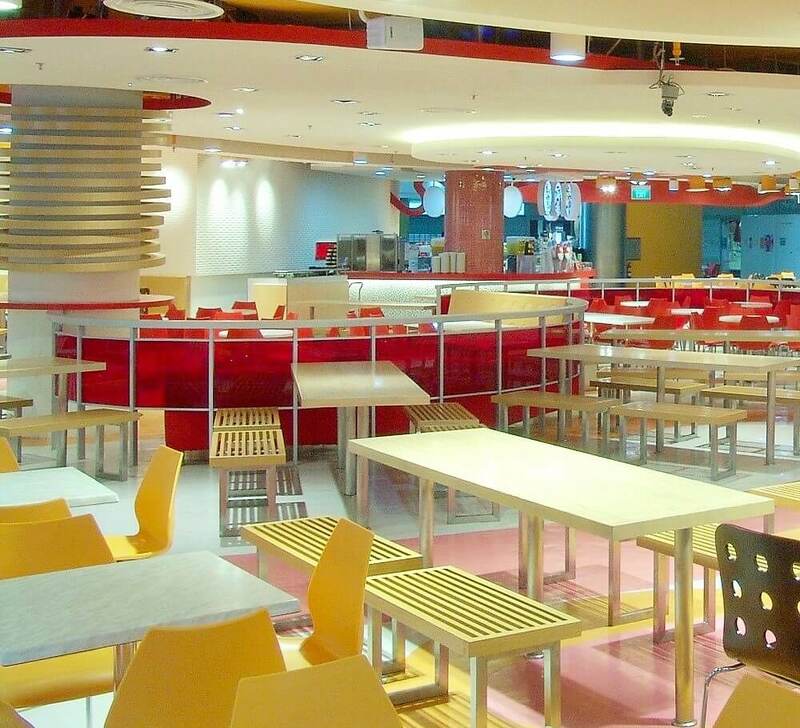 Seating in this sizeable area – approximately 2000 sqm – was a combination of fixed booths and banquettes providing containment for the loose tables and chairs; enough variety to keep everyone happy. A lot of warm neutral tones were used in the finishes combined with red yellow and orange to underline the youthful and upbeat atmosphere. An attractive juice counter positioned within the completely open frontage captures attention from the shopping centre. is an experienced and independent Interior Design Consultancy specialising in design solutions for the hospitality and leisure sector.